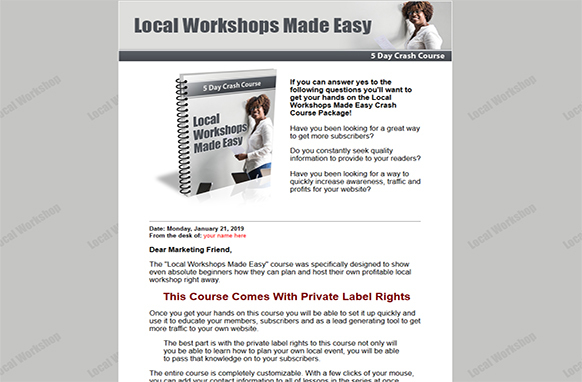 If you can answer yes to the following questions you'll want to get your hands on the Local Workshops Made Easy Crash Course Package! Have you been looking for a great way to get more subscribers? Do you constantly seek quality information to provide to your readers? 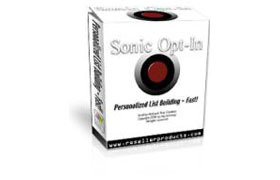 Have you been looking for a way to quickly increase awareness, traffic, and profits for your website? 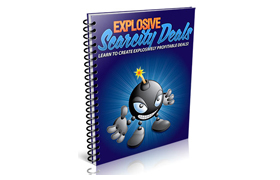 With this series, you will receive 5 formatted email lessons packed with easy to understand information that you and your subscribers can start using to immediately impact your business! 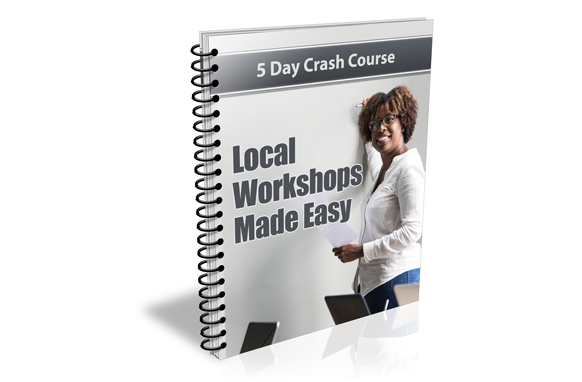 The "Local Workshops Made Easy" package contains everything you need to start using it right away!